Lucky Spirit Black Incense is guaranteed to be of the finest quality and to burn steady and slowly. It consists of a fine black compound powder, the kind always used by those who practice the Rituals of Black Magic. The character of black incense, whether for good or for evil, may be modified by the addition of spiritual oils and powdered herbs. 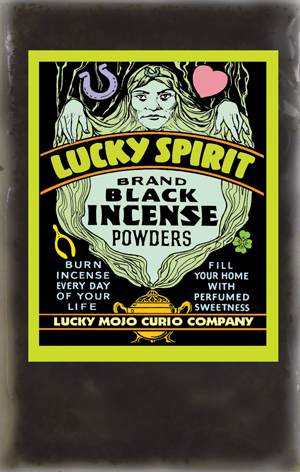 Lucky Spirit Black Incense is scented for use in luck-bringing.